Yak DNA may be high altitude solution. Who’s the Bos? Well, it depends on the bovine’s pasture location. The humped, floppy eared Bos indicus thrives in hot, tropical climates. Bos taurus dominates the bulk of moderate to cold climates, but when it comes to high altitude pastures, Bos grunniens (yaks) have the edge and may hold the answer to deadly brisket disease. Native to the Tibetan Plateau, which is largely 14,000 or more feet above sea level and surrounded by features such as Mount Everest, the yak is well adapted to high country living. Domestic cattle, Bos taurus, don’t fare as well when altitude is in play. At about 6,000 feet, cattle become vulnerable to altitude sensitivity, or “brisket disease,” says Mark Stayton, University of Wyoming professor of molecular biology. Fluid accumulates in the brisket, the right ventricle of the heart enlarges, and death from secondary lung infection or heart failure ensues. Halter breaking yak calves adds value for the hobbyist market. That’s why Stayton has teamed with Doug Zalesky, director of University of Wyoming, Laramie, research and Extension and Scott Lake, animal science Extension specialist, to see if yak genetics can help beef cattle get over the altitude hump, so to speak. DNA remnants. In Stayton’s work with plants, it’s common practice to introduce a valuable trait to a domestic species by crossing it with a wild species then taking the cross and breeding it back to domestic lines until everything but the desired trait is gone. This is their strategy with yaks and beef cattle. The species have been crossed before, but the results haven’t been what a beef breeder might like. 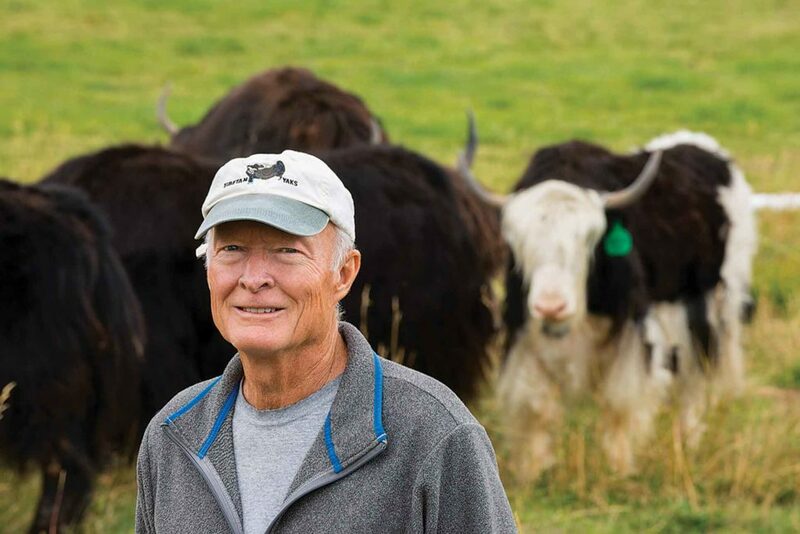 Mike Swartz has spent 18 years breeding yaks for meat, fiber, and hobbyist use. “When you see half yaks, or dzos, on the Tibetan Plateau, they don’t look like a production cow,” Stayton says. “However when we used high quality Angus genetics, the quality of the first cross look surprisingly like cattle.” His hope is that with just three to four generations of back crosses they might be able to achieve a yak-influenced cow with all the positive production traits beef producers look for plus altitude tolerance. “When we’re done we will likely reach a point where we only have a fraction of a percent of yak DNA left,” he says. While the breeding portion of the research could have been accomplished for decades, Stayton explains the next-generation DNA sequencing leaps made in recent years may be what makes this attempt at breeding out the disease a success. “This allows us to take the next step and determine precisely what DNA is there and how it correlates to function,” he says. Beyond helping out their altitude-challenged cousins, yaks also have carved out their own niche, or two or three, in ag production. 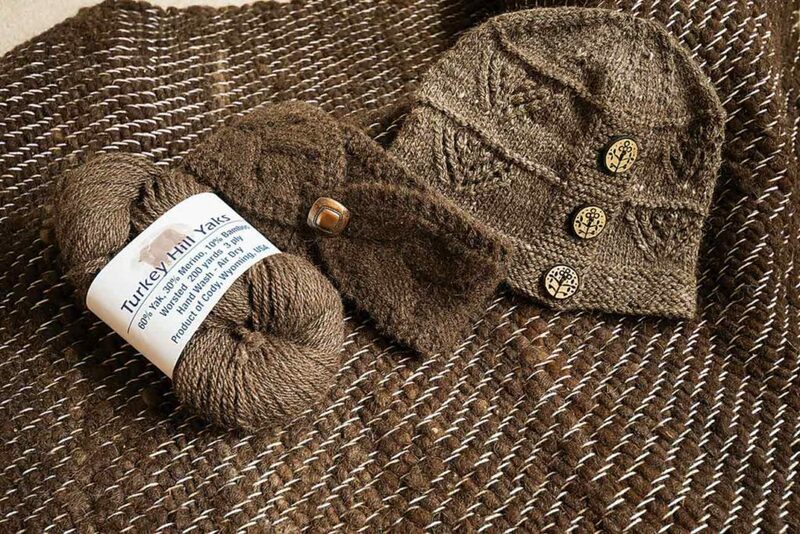 Contracting knitters to create yak fiber wearables helps extract more value from expensive fiber. Swartz and his wife, Cathy, market yak meat online and at area farmers’ markets. There are challenges. “It took me a year to get USDA approval and labels approved. It’s quite the process,” he says. But the product is well received. The grass-fed meat is only 3 percent fat and sells at a slight premium over beef. Steers are butchered at 3 years old. “If you want to sell 10 steers per year you have to have 30 on the ground,” Swartz explains. The fiber side has its challenges, too. The cashmere-comparable fiber is harvested by combing during spring shed, often multiple times. It then costs about $22 per skein to have it spun, making $50 per skein a necessary price, a tough sell in their market. However, yaks sold to the hobbyist market, including as pack animals, can command a premium price. Thrifty. While they’re slower to maturity than beef cows, yaks do out compete in other areas. They can be maintained on about 44 percent of what a beef cow requires, Swartz says, and live nearly a quarter decade. 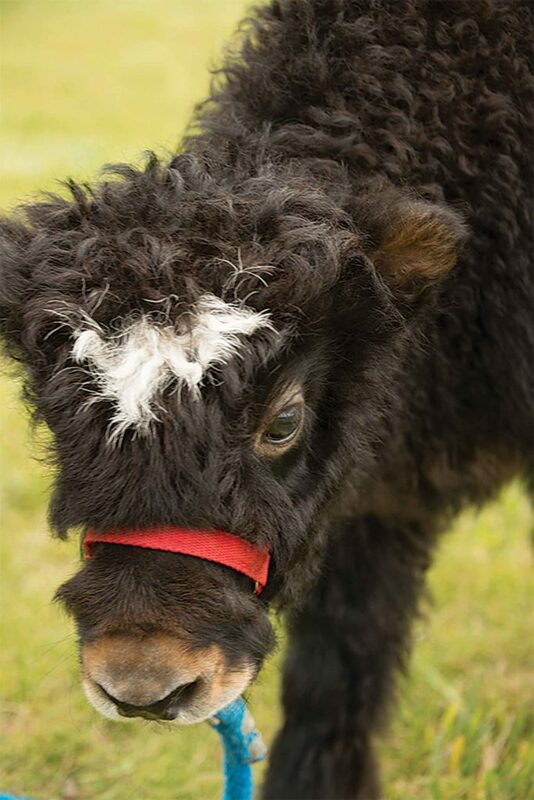 Swartz has bred super woolly yaks with bangs that sweep the ground, but now focuses more on docile, meat-producing lines. He notes in the smaller yak market, producing breeding stock can be quite profitable. Palmer amaranth makes its move into the Corn Belt.